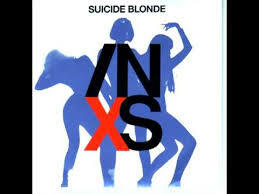 Opps… I’ll have to cancel the INXS reunion I planned. Apparently they have nothing to do with the Suicide Squad. So during my Flash Review I pointed out that Amanda Waller was one of the worst pieces in the set. My reasoning was that even though she can add a nice figure to the Suicide Squad, there really weren’t many reasons to actually play the other figures in Suicide Squad. They were okay, but not great. Add to this the fact that Amanda is about 40 points of offense in a 60 point body and I was just not seeing a good way to use the Suicide Squad in Modern Age games. However, I like a challenge. So I’ve created 3 teams that actually seem to work with the Suicide Squad in a Modern Age, No-Tactics environment. Team Name: Fiddler’s on the Roof! How it Works: I’ve gotten around that whole Amanda Waller not being that good problem by omitting her completely. Problem solved. Instead the leader of this team is the Fiddler. 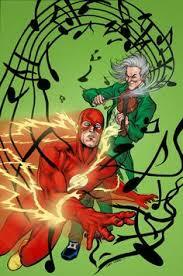 Fiddler has no defensive ability on his whole dial (not even Shape Change) and he’s still a great piece. What he has in his defense slot instead of a reducer is a Special called “SONIC FORCE BUBBLE: Fiddler can use Defend. Adjacent friendly Characters with a lower point value modify their defense values by +1.” What that means is that Captain Cold, Mirror Master, and Captain Boomerang will be sporting a 19 Defense in addition to the defensive abilities they already have. Plus Fiddler and Mirror Master both have Probability Control for added headaches for your opponent. With no defense himself and the ability to ignore other figures for targeting, Fiddler is at home hiding behind of your other figures. Make sure to remember that Fiddler ignores elevation. Have fun blasting an opponent straight through a mountain if the situation presents itself. So she’s like not wearing any clothes. You guys see that too right? How it Works: Cheetah’s movement power states “POUNCE MY PREY: Cheetah can use Leap/Climb. 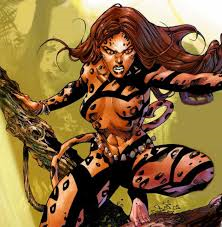 When Cheetah resolves a move action, you may give her a close combat action as a free action.” That means that she should be garnering the majority of opponent’s attention. Then maybe they won’t notice that FFFL002 Captain Boomerang packs triple target energy explosion on to a dial that only costs 75 points. That will be the last time your opponent ignores that character. Mirror Master is transportation and support. Waller is just sort of support, but you need her to make the team possible. He has a vast fortune.. and Pliers! How it Works: Unlike the other teams I’ve mentioned above Mirror Master and Amanda Waller are actually primary attackers on this quirky team. 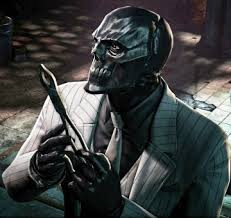 Once your team is within approximately 14 squares or less from the opposing team, give Black Mask a Power Action to use his Special Attack Power (VAST FORTUNE: Give Black Mask a power action and all adjacent friendly characters that have the Assassin keyword or share a keyword with him may immediately be given a move action as a free action.) Everyone moves up as a free action (make sure to carry Black Mask), uses the three available Outwits, and takes a ranged combat shot. If you make Mirror Master Harley’s Puddin’ then he can get up to 4 damage with her Petplex. If you can Outwit the opposing defense, that’s going to hurt. I would love to see a 300 and 400 point team with all the new suicide squad figures that have come out. Yeah, I’m really liking the new Deadshot LE. I will definitely get Ninwashui on this! Thanks for reading!